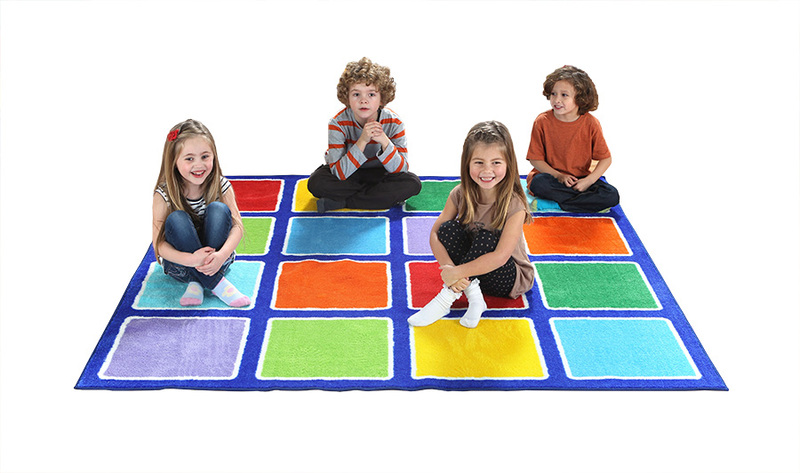 The Rainbow Placement Classroom Rugs are available in 3 shapes – square, rectangular or circular. The bright and colourful classroom rugs are ideal for early years’ colour recognition, designed for use in classroom reading or play areas. 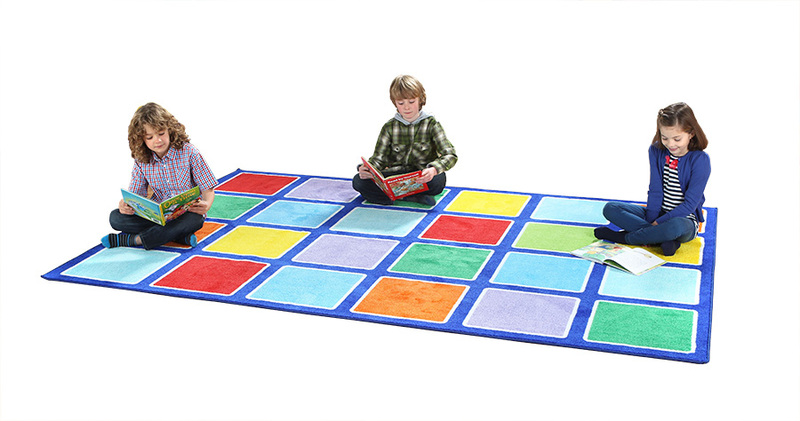 The multi-coloured placement spots on each mat allow you to seat children in their own space, perfect for interactive learning games or story time. Manufactured using a premium quality carpet with an extra thick, soft textured Nylon tufted twist pile, designed for longevity and comfort. It features a specially designed anti-slip Rhombus backing to ensure safe use on all surfaces. Our classroom rugs meet essential safety standard EN71 Parts 1,2 and 3 and comes with a 1 year manufacturer’s warranty. In addition, our classroom mats are crease resistant which allows you to roll up and store away when not in use, without the worry of creasing. The tightly bound edges prevent fraying and the tuft strands meet heavy duty laboratory pull tests. Easy to clean our stain resistant classroom rugs can be spot cleaned with a damp cloth. Also available in semi-circle or corner shapes.